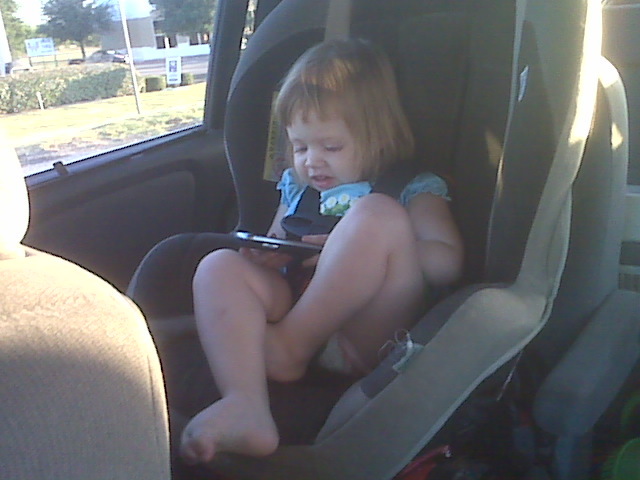 This was Little Princess playing on Mommy’s new Android phone on our way to my parent’s house last weekend. She very quickly learned how to unlock the phone and find her favorite games, “swiping” across the different screens to do it. Our children are always prim and proper for pictures – just like their parents…..
He’s Not to be Out Done….